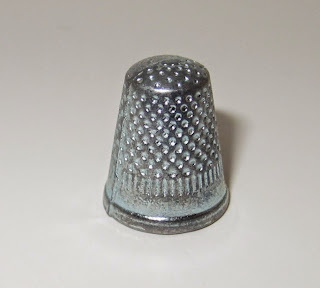 Why is the thimble the best Monopoly piece? What makes naked Shulk so enraging? Why does your best friend always pick the red token? Lots of things influence the avatars we pick in games. Inspired by G. Christopher Williams' piece about his affinity for blue, we dive into the rationale behind the characters we pick. What color palette is near and dear to your heart? Let us know in the comments! Imitation is the sincerest form of flattery. Early on, I always picked dark green. It's a calm color color, close to nature and it blends easily into the background. I think it was in original Quake when I switched. I was playing online and saw a guy with a custom skin that had a glowing clan logo in his back. And being the only serious player on the server, he of course dominated the round. I just had to have something more showy after that. I eventually settled with blue and yellow highlights. It still blends in somewhat, but is also showy up close. Like a storm cloud and the lightning. I guess I don't want to be the center of attention, so I usually pick characters who can choose when they engage and how they engage the enemy. Assassins, marksmen, trappers, spellcasters. I really have to force myself occasionally to play a tanky or a brutish character. And even then I may make some compromises. Like my Skyrim character. He uses the trusty sword and board combo, but it as least as proficient with the bow and stealth. And of course he couldn't be an ordinary human, he had to be an Argonian. I've heard the Monopoly pieces were chosen to represent the wealthy (terrier, top hat, car) and the poor (wheelbarrow, thimble, shoe, and iron), but I don't have any evidence to back that up. In board games, I typically play yellow. I began because it was usually the color left over when everyone else took the "usual" preferred colors (blue, green, red), but I've been playing with it long enough now that when I am not playing yellow, I often make mistakes because I read the board situation from the perspective of the yellow player. I love the idea that there are people out there that are oblivious influences on other players. Every day there might be a "Last Crusade" scene where some elite player gives his virtual hat to a aspiring virtual Indy. I remember hearing something similar, but like you it's just weird background lore that I can't place. I think that's what makes Monopoly such an interesting case: everything is the same color and serves the same purpose, but the token shapes carry such widely different connotation.